Meccanica has over 50 years of experience in the engineering industry and serves both traditional and emerging markets. By providing an integrated approach to the engineering cycle, Meccanica can improve risk management, reduce costs, and ensure total quality. 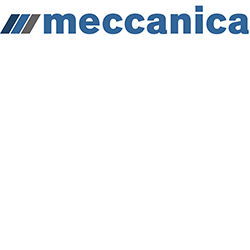 Meccanica serves a broad customer base in the areas of research and development, aerospace and Defence. A purpose-built facility on the outskirts of Canberra provides a dynamic mix of high-end, computer controlled machine tools and a modern engineering design studio. Our design for manufacture philosophy has been applied to ultra-high precision mechanisms, custom cryogenic systems, and demanding batch-produced components. Meccanica first became involved in the Space industry by manufacturing components for Australia's Federation Satellite (FedSat), which was launched in 2002. Meccanica has been a core supplier to the Research School of Astronomy and Astrophysics for almost 50 years, and provided the lead mechanical engineer in developing Australia’s largest thermal vacuum system, which has since been used for the testing and validation of a number of nanosatellite platforms. Meccanica undertakes design, manufacturing, assembly and testing of mechanisms that can be adapted to space use. This includes the completion of a space tribology course (bearing technology) conducted by EADS Astrium. Meccanica understands the unique needs of our customers, and provides tailored solutions for each industry specific set of requirements. The ability to provide a unified engineering service comprising design, manufacture, assembly, and test, provides our customers with a value-adding technical partner.